Modern Architect in Los Angeles Diane Waingrow comments on the recent 3 day Dwell on Design Conference held at the Los Angeles Convention Center. 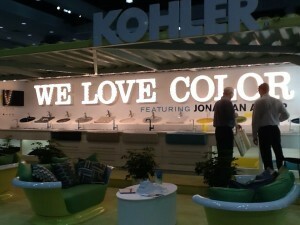 Every year, Los Angeles hosts this conference showcasing the latest in modern residential design. 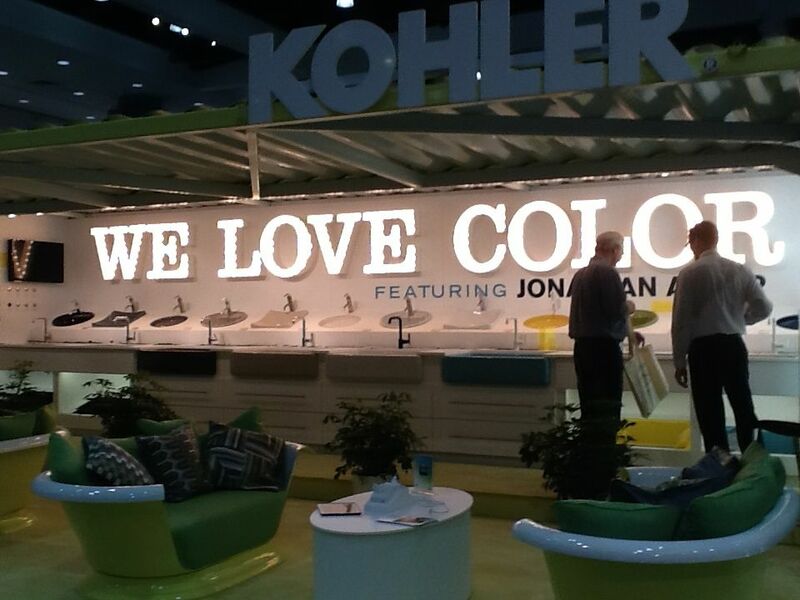 Green architect Diane Waingrow discovered the new line of modern fixture design from Kohler. Los Angeles area Green architect Diane Waingrow attended Dwell on Design 2012. This year there were over 350 exhibitors and 70 presentations. This event showcased the best products and services to be had in the world of modern residential design. Diane has attended this conference for several years; in fact, last year her work was featured front and center at the LA/AIA booth on the exhibition floor. This year, again, she had the opportunity to see a lot of great products and services and attend some very interesting seminars. Diane had the chance to see some spectacular modern residential design products while walking around the exhibition floor. There was plenty to see, such as kitchen appliances and LED lighting but in the end there were some highlights that were of particular interest for her. These include Lumos Solar Co. (lumossolar.com) which has a new solar panel product that is lightweight, low profile and snaps together for a continuous covering on a porch, carport or outdoor living space. She also gave special interest to Trufig (trufig.com) which makes a flush mounting system for all technology that goes into walls (speakers, HVAC registers, outlets) so that all these devices can look completely integrated into the architecture. There were many examples of finish materials such as wall coverings and flooring that use digital imaging to create an infinite variety of material choices. While there, Diane saw a presentation on the latest kitchen design trends in Europe which proved to be very interesting. It’s very popular to mix woods in kitchen cabinetry right now, adding interest by contrasting materials. Also, because consumers are going to local farmer’s markets for fresh fruits and vegetables, the trend in appliances is towards less freezer and more refrigeration space. There are also improvements in air filtration systems, keeping food fresher longer. She also attended two seminars. The first seminar was called “It’s Not Your Dad’s Swimming Pool”. The presenter for this seminar was an architect whose custom residential work often includes beautifully designed pools in the landscape. He talked about how to integrate the site and the pool, different ways to achieve reflection and views, techniques for interesting coping details, and how to manipulate scale in the pool design. Diane feels that the design of pools can be a very important natural feature when a home’s modern design aims to bring nature indoors. The second one she went to was called “Net Zero Water in the Landscape”. The presenter was a landscape architect whose firm specializes in rainwater harvesting. He showed many examples of custom homes where rainwater and recycled greywater were used for watering the grounds. He then went on to explain how to approach the design of these systems so that the homeowners do no use any city water from the local municipality. As a modern green architect, Diane was impressed with this goal of water conservation. Los Angeles residential architect Diane Waingrow had a wonderful time at this year’s Dwell Conference. She learned a lot of new information and got to see many new products. The experience reconfirmed her passion for modern residential design. Diane Waingrow is a remodel architect in Pacific Palisades, CA. She has created many wonderful spaces for her clients, and offers free consultations. She recently installed sustainable Heath tiles in one of her projects. This press release was prepared by Bobrow Consulting Group (BCG) for Diane Waingrow. BCG works with building design professionals to build their business by optimizing their online strategy, teaching an architect marketing course as well as offering web design and SEO consulting services.